We love to make our office a cosy place that makes us feel at home and inspires us. 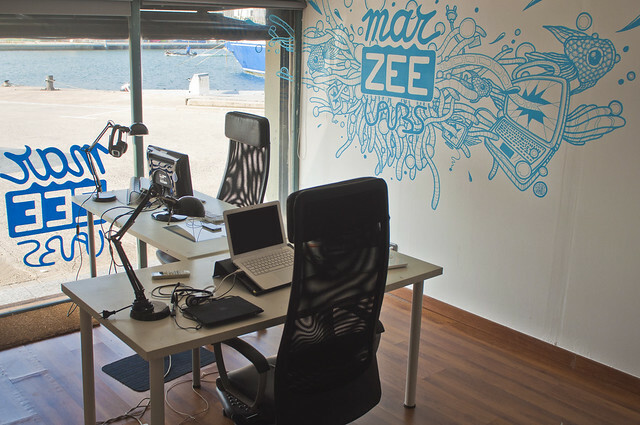 With that in mind, we asked graphical artist Gijs Vanhee - who previously created our logo - to redesign our office. 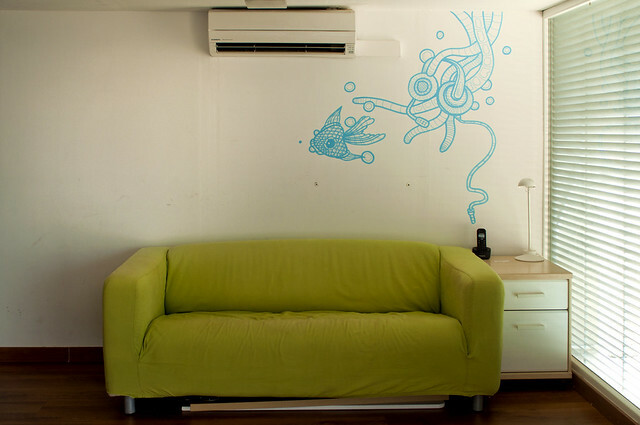 It took him a couple of days and a whole series of light-blue Posca paint markers, but we think the result looks awesome! 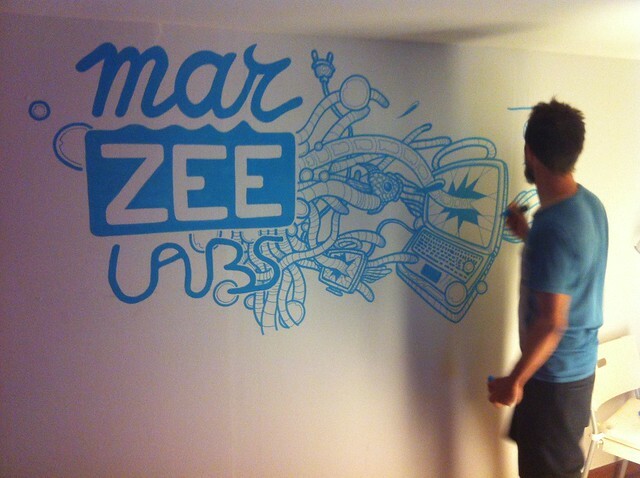 Gijs Vanhee starting the mural from the Marzee Labs logo. Office mural and logo on the front window. Gijs Vanhee is my brother, and you can find most of his work all over Belgium. Check his website, or read this recent interview by Creative Nestlings. Thanks a lot Gijs for making us proud!